Have you ever thought of a more holistic and natural approach to Dentistry? At Healthy Body Dental of Clearwater, FL – Dr. Adams would like our office to be thought of as a holistic dental office. 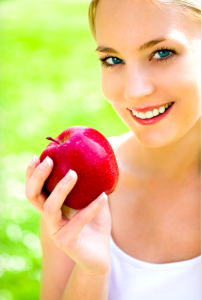 Our holistic dental approach to your oral care and dental health means we pay attention to your overall well-being. We understand the body is more than a constellation of symptoms, diseases and diagnostic indicators, but rather a collection of various complex systems that are all interrelated and interdependent. The most comprehensive health care provider addresses the whole persons overall health, including dental diagnosis and treatment. Quite often, symptoms of ill health affect the health of the mouth, and sometimes disease of the mouth can affect other systems of the body. For this reason, maintaining good oral health is good for overall health. Relatively, accurately diagnosing oral problems can help with early detection of other, and possibly serious, physical ailments in other areas of the body. Healthy Body Dental addresses the mind, body, spirit of the patient, not just his or her teeth. You’ve discovered one of the most unique health resources in the world! I just wanted to thank you for taking such good care of Beth and I. As I am and sure you may know, we will not even consider a dental plan that doesn’t allow us to use your office. Your staff is very professional and they are enjoyable to be around. What a great crew you have. Nobody likes to go to a Dentist, Doctor, Lawyer, let alone an automobile dealer but my visit to your office was so pleasant that I felt I should tell you of it. Unfortunately we people that deal with the public hear only complaints and very seldom receive bouquets when due, so many roses to you and your staff. Highly recommend!!! I moved to the Clearwater/Palm harbor area about 10 years ago and have been to 4 dentist in that time. I have never felt so welcomed by dr/dentist office. The staff is proffesional and caring. Dr Adams is extremely knowledgable and truly seems to care about his patients dental and over all health. Before finding Dr. Adams I went to another dentist that recommended over 3k in dental work for me that was filled with unnecessary procedures.After my initial visit and X-rays. Dr Adams went over a treatment plan without all the "fluff" thus saving me 2k+. Bottom line if you want a friendly knowledgeable Dr. With a friendly and proffesional staff go see Dr. Adams! I feel privileged to be a patient of Dr. Adams. I don’t think we often think of a dentist as a person who can totally change your life - Dr. Adams did just that for me. He is truly a multi talented individual and I see his work as a combination of being an artist, shrink, doctor, healer, and friend. Thank you for making such a tremendous difference in my life. Simply an amazing Dentist! My friend is a sixty one year old man who has had problems with his teeth for years. Dr. Adams has saved his teeth he thought he would loose and have to rely on dentures, Thank you so much for helping him! He will have a Hollywood smile when completed. I would recommend this doctor to everyone!